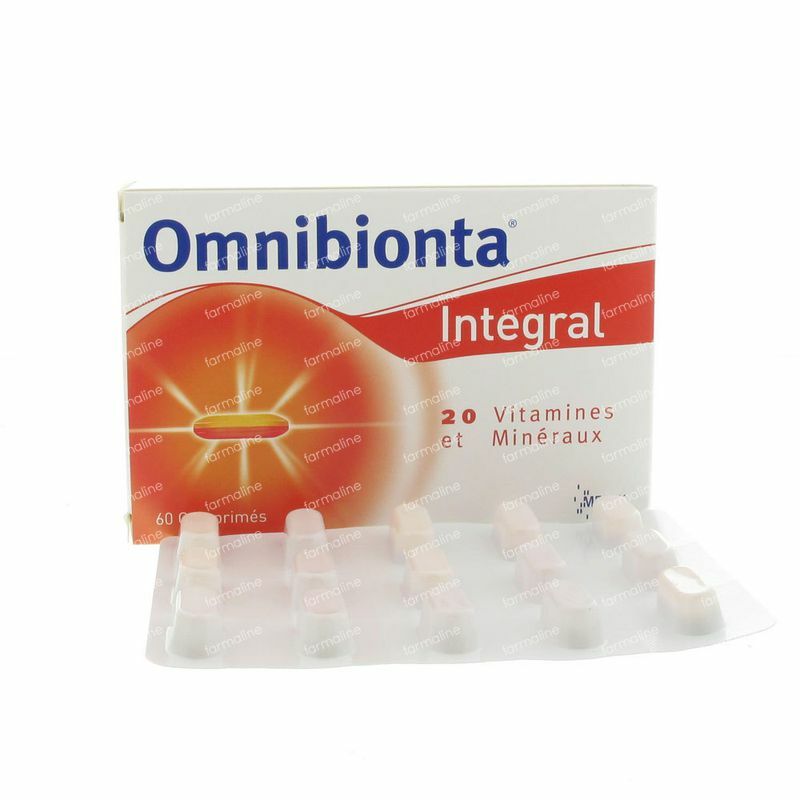 Omnibionta Integral 60 tablets order online. 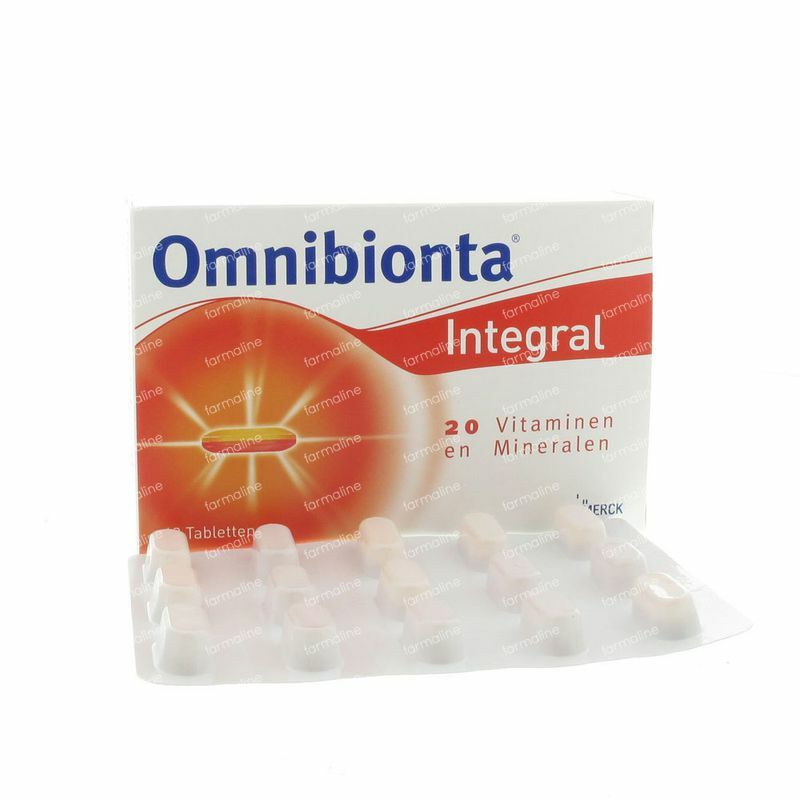 Omnibionta Integral contains 12 vitamins, 8 minerals and trace elements that were specifically chosen and measured for an ideal balance between minerals and vitamins. 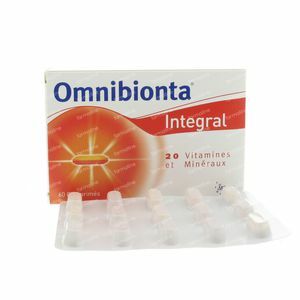 Omnibionta® Integral is taken so that our organism has an optimal amount of vitamins and minerals when there is an increased need. An example of this is psychological or intellectual exertion, fatigue or recovery. It is also possible, however, that the nutritional supply is insufficient, for example in the case of a diet with weight loss, an unbalanced diet (pupils, students) or sufficient nutrition (seniors). By maintaining a good balance between minerals and vitamins, the organism can make optimal use of the nutrients to produce energy, resist fatigue and defend the body against infections. Nutritional supplement with combines an ideal balance of various minerals and vitamins. Adults and children aged 12 and over: 1 duotab per day, swallowed with some liquid at breakfast or lunch. The duotab is well tolerated by the stomach and digests easily. During pregnancy and nursing, you can use the product without exceeding the daily recommended dose of 1 duotab/day. Under no circumstances should this product replace a balanced and varied diet and a healthy lifestyle. 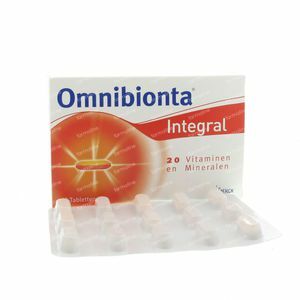 It is to early to speak about real results, but in general I'm very pleased about the vitamins from Omnibionta. And like always a very good and quick delivery from Farmaline. Good results. Immediately clearly results. This product meets my expectations. The ailments I had before, are taken away by this product. It's to early to judge this product because I'm just using it a few weeks and there's no clearness yet about the functioning.